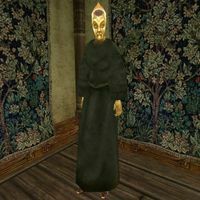 Eraamion is an Altmer nightblade who sells spells at the Caldera Guild of Mages. He is very knowledgeable about all the inner workings of magic, and has a lot to say about all the various types of spells available. These services are available to anyone (except vampires), regardless of whether you are a member of the guild.